Home > Burgundy>AOC Mâcon>Mâcon Milly - Lamartine "Les Collonges"
Un vin élégant avec une belle robe blonde brillante, un nez superbe sur des notes de vanille, de fleurs blanches et de coing. La bouche est fruitée, riche et intense d'une très belle longueur saline. A servir avec des poissons, sur un beau plateau de fruits de mer ou sur un beau comté. A tiny 0.5-hectare estate, which is based in a former priory of the monks of Cluny, near to the Romanesque church of Buissières. 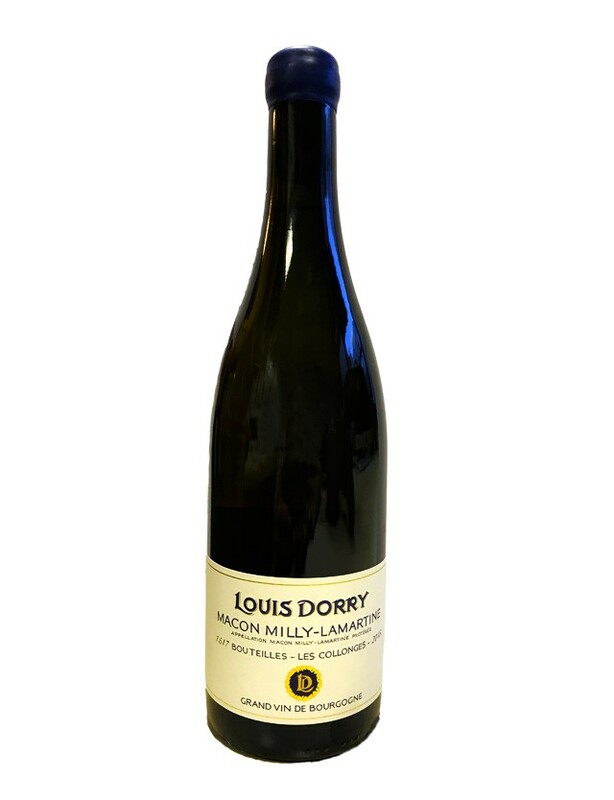 Son of a wine-grower, Louis Dorry took over the estate in 2006, when his father retired. His small plot of Chardonnay, facing the Roche de Vernisson and the Roche de Solutré, is farmed without any chemical herbicides. After a manual harvest and pneumatic pressing, the cloudy juice is put into oak barrels and begins a long fermentation process of 4 months.